This is a Recipe for preparing at home tasty restaurant style Matar Biryani.This is a very popular Vegetarian Biryani preparation all over India. Wash and soak Rice in to two cups of water. In the meantime, heat Oil in a kadai and chopped Onion. Fry till golden. Add chopped Tomatoes. 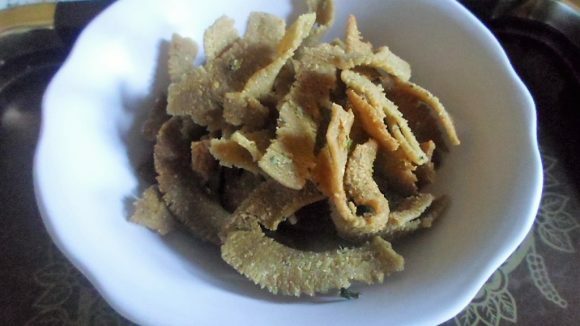 Ginger Garlic paste and one tea spoon each of Jeera powder and Chili powder and fry for a few minutes. Add a little water and cook till the peas become soft. Drain the Rice and keep aside the water in which it was soaked. Heat Ghee in pressure cooker. Add the Rice, Garam masala paste, remaining Jeera and Chili powder Sugar and Salt. Fry for 3 minutes. Add the Peas cooked in the Masala. Mix it thoroughly. Add the water in which the Rice had been soaked, also adding one more cup water to make it a total of three cups. Close the cooker. When it gives the first whistle switch off the gas and let it remain till the pressure in reduced and the cooker is ready to be opened, serve hot.